Every Arizona resident is entitled to certain rights and protections. These rights extend to individuals who are suspected of committing crimes. While Arizona does have DUI checkpoints enabling police officers to inspect multiple vehicles and determine whether the operator is intoxicated, DUI stops can be unlawful under certain circumstances. If you ever get pulled over, it is imperative to remember numerous details about the interaction with the law enforcement professional. Such information will help your lawyer determine whether your constitutional rights were violated and if there’s a reason to challenge the police procedure w.r.t. unlawful DUI stops in Arizona. In order to make an investigative stop in Arizona, a police officer needs to have reasonable suspicion that a violation of a law has occurred. 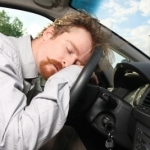 Random stops are unlawful and they can be challenged by an experienced DUI attorney. 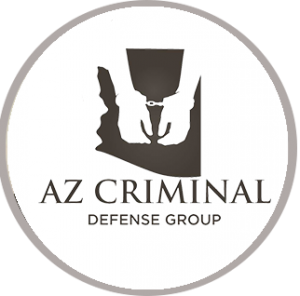 Reasonable suspicion isn’t just a gut feeling to pull over at unlawful DUI stops in Arizona. The police officer should make an unbiased observation before pulling the driver over. Erratic driving, swerving, a broken headlight and a minor traffic violation all provide reasonable suspicion. Speed fluctuations, speeding and a failure to follow road sign instructions also give law enforcement professionals a reason enough to pull the vehicle over. Without a reasonable suspicion, a police stop is unconstitutional. In such instances, a lawyer can file a motion to suppress the evidence gathered after the unlawful stop. If the court agrees, the prosecution will often be left with insufficient evidence to build a case upon. Whenever an Arizona DUI checkpoint is set up, the reasonable suspicion requirement is suspended. This means that police officers have the right to pull drivers over even in the absence of a violation or suspicious behavior. Still, certain rules have to be followed when DUI checkpoint stops take place. For a start, police officers do not have the right to just randomly pull drivers over. There needs to be a methodology that is followed throughout the process. Inspecting every third vehicle is one such methodology that ensures randomness and an unbiased approach. Your rights remain intact at an Arizona DUI checkpoint. If a police officer asks to do a vehicle search without a warrant, you have the right to refuse. You are also not obliged to participate in standard field sobriety tests. There will be no implications and a refusal is the best approach because such tests will often produce misleading results. If the officer asks for your documents, provide them. If you are asked to step out of the vehicle, do so. You have no obligation to answer questions. A law enforcement professional will routinely ask drivers whether they’ve consumed alcohol or where they are coming from. Providing such information can result in self-incrimination. Be polite but refuse to answer such questions. If you are asked to do a breathalyzer or a blood alcohol content test, you should probably comply. 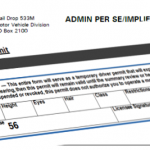 You have the right to refuse those tests but your license will automatically be revoked. This applies to both stops at DUI checkpoints and those based on reasonable suspicion. DUI attorneys will often challenge the lawfulness of a stop. 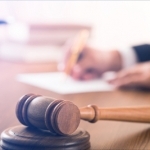 If an arrest occurred following the setting up of a DUI checkpoint, the lawyer may challenge the procedures that could have violated the defendant’s constitutional rights. 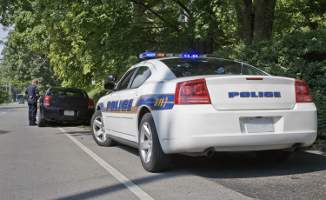 If you get pulled over, remember that reasonable suspicion is more than just speculation. Reasonable suspicion may exist in instances where legal behavior at the time could be indicative of previous illegal behavior. Reasonable suspicion may also arise in the event of lawful actions that are followed by behavior suggestive of illegal activity later on. As you can see, the situation may be left to interpretation under certain circumstances. The most important thing is to refrain from panicking at the stop. The calmer you are, the more advantage you will have following the arrest.